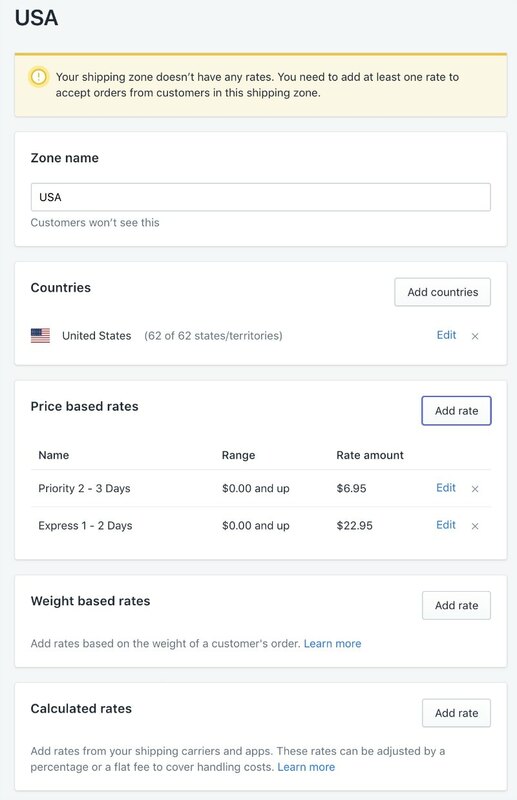 Here are the shipping settings we suggest for the products on Dropship Beauty. First, set up your shipping zones. Because we only ship to USA based address you only need a USA Shipping Zone. Next, you will want to set up a PRIORITY and EXPRESS. You can set this up in the PRICE BASED RATES section. These are flat rate shipping prices based on any size order. 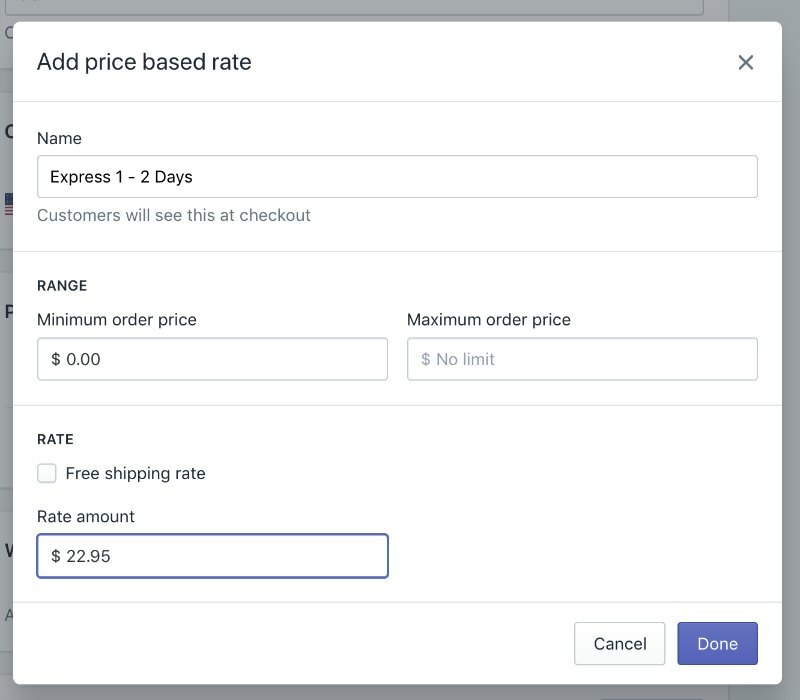 When creating your Price Based Rates it should look something like this. This allows the shopper to choose either Priority or Express. Setup should take just a minute! What address does the Shipping Label show to my customer? My customer said they received the wrong item or something was missing.